Examine the evidence! 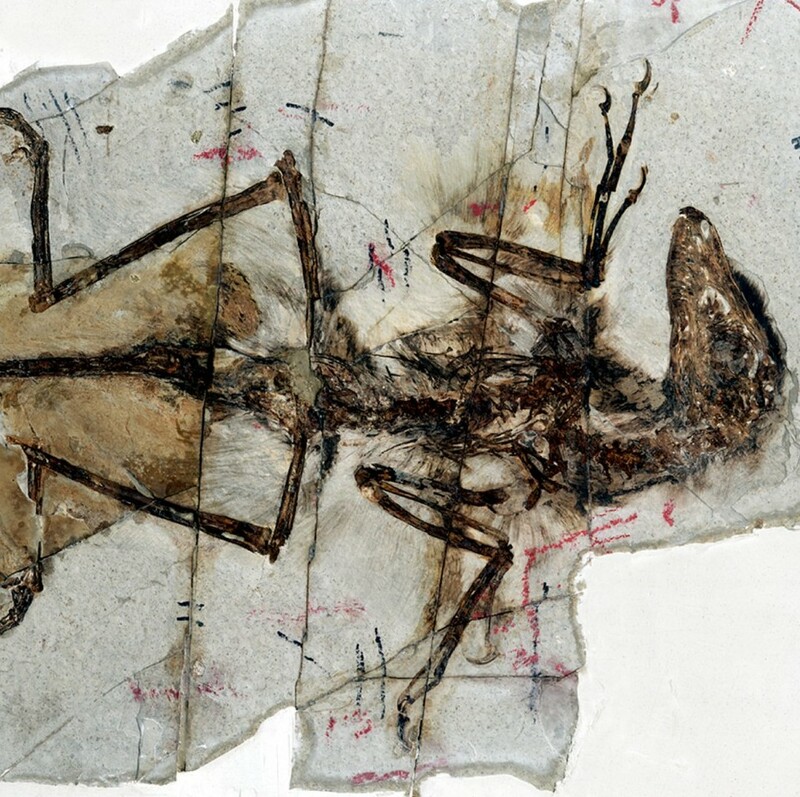 When this fossil was discovered in Liaoning, it joined a growing list of dinosaur fossils showing evidence of feathers. But this fossil is unique because the imprints of feathers are astonishingly clear. Look for this birdlike dinosaur, called Sinornithosaurus (sign-or-NITH-uh-sore-us), in the diorama. What's the point? 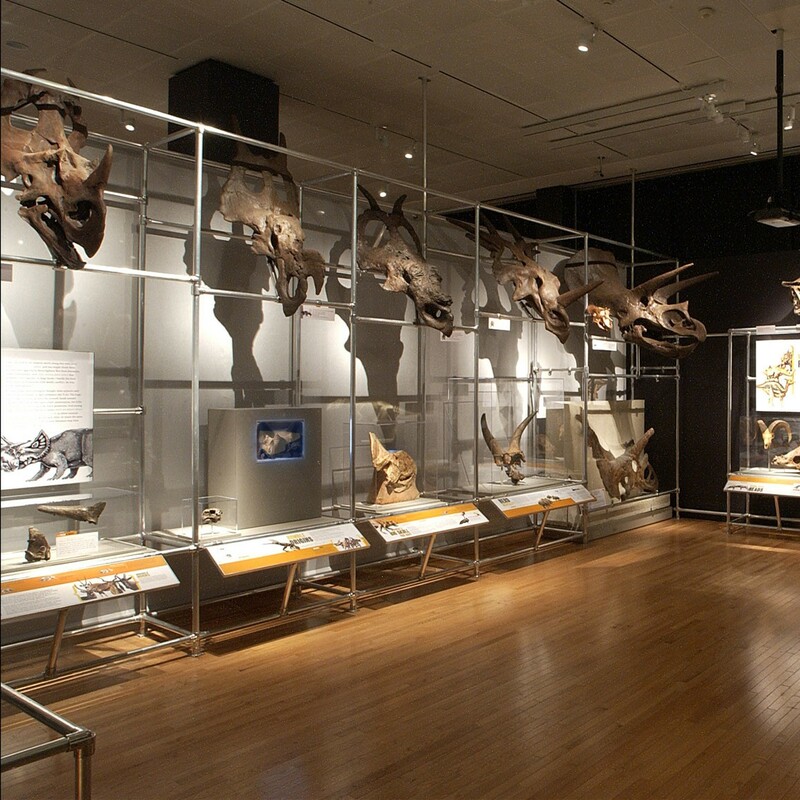 Take one look at the massive skulls along this wall, with their sharp horns and spikes, and you might think these animals were aggressive, fierce fighters. 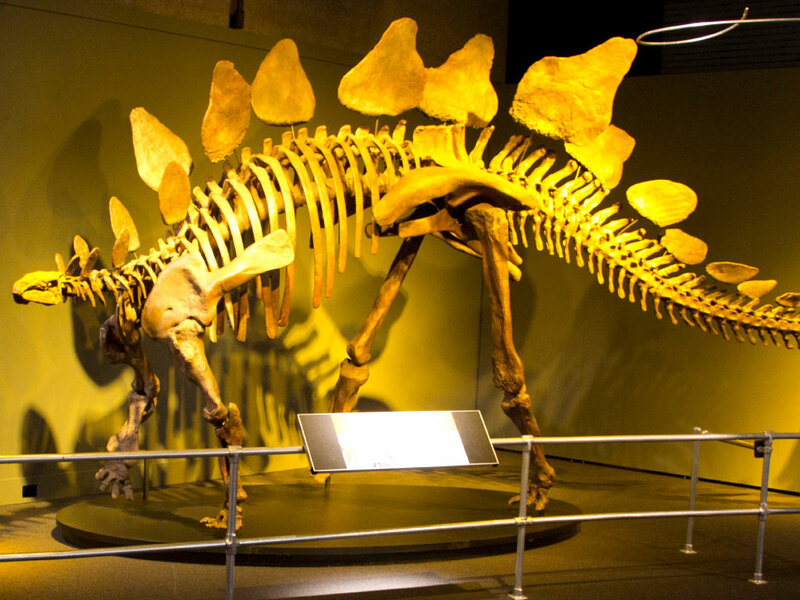 But these dinosaurs, called ceratopsians, were slow-moving plant eaters that probably lived together in large herds—hardly the kind of animals you’d associate with deadly conflict. So why all the sharp points? The Hunt for a Culprit: All of the groups represented in this photo died out around 65 million years ago—and what you see is only a small sampling of the victims. What happened to cause such widespread devastation? Scientists agree that species go extinct primarily as a result of changes in their environment. The extinction of many species around the world at one time reflects large-scale changes in the global environment. 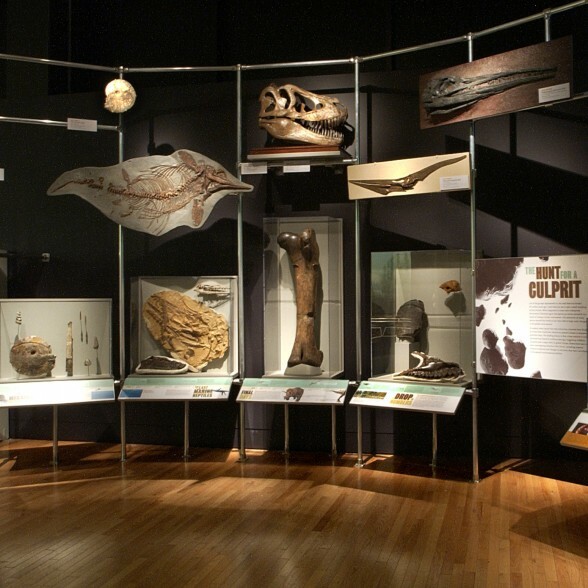 Fossils usually tell us about the inside of an animal: its bones, muscles and sometimes what it ate for dinner. 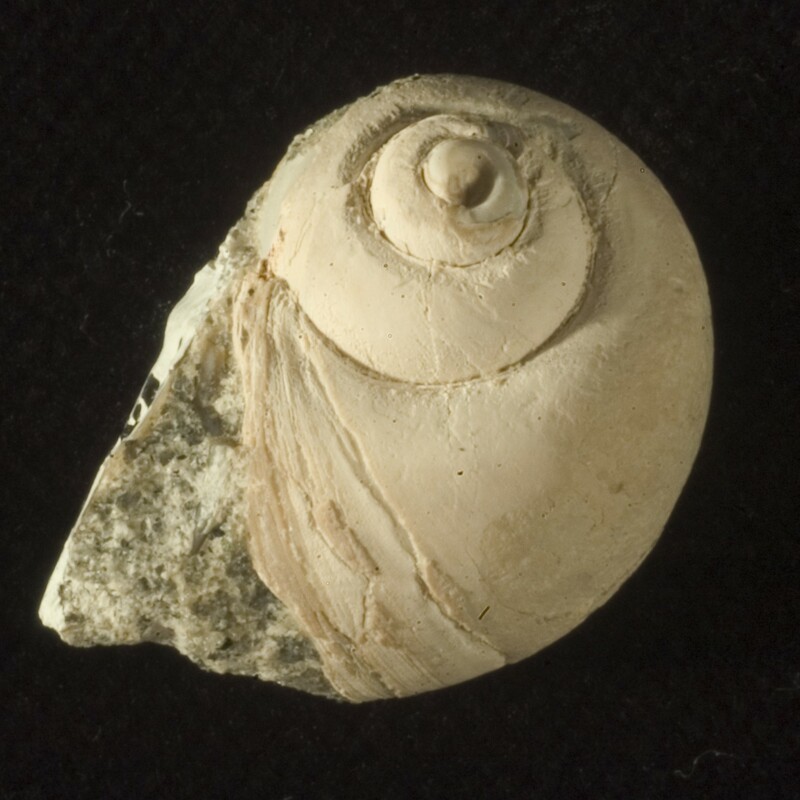 It’s nearly impossible to learn much about how ancient animals looked on the outside. But some Liaoning fossils look like ghosts: the outside of the body is visible as well as the bones. Faint colors and patterns like stripes and spots—even the shading of the eyes—can sometimes be seen.